As a Political Science Major at Duke University in the spring of 1983, Abby Raphael knew that Washington, DC was where she needed to be. The Washington Semester program was in its 36th year in 1983. Students all over the nation participate in the semester-long program to meet and network with people in their intended field. Raphael chose the program because she knew she wanted to work in politics, and Washington was the place to be. During her time in the program, Raphael’s chosen concentration was foreign policy, and she interned for Connecticut Senator Lowell Weicker. While interning on the Hill, she met contacts in other Senate offices and arranged career opportunities that would keep her in DC long after her Washington Semester Program experience ended. In the summer of 1983, Raphael graduated from the program and made a contact in South Carolina Senator Ernest Hollings’ office. She was offered a paid position as the Assistant to the National Field Director for Hollings’ 1984 presidential campaign. In order to maximize her time in Washington, Raphael also got a part-time internship for Foreign Policy Magazine, an opportunity that she directly credits to participating in the Washington Semester Program. As the summer ended, Raphael returned to Duke to finish her senior year. She continued working on the Hollings campaign, and used the networking skills and contacts that she acquired during her time in Washington to secure a job with the President’s Commission on Organized Crime (PCOC) after her graduation from Duke. This interest in crime and drug prevention grew into a passion for law, and after a brief time of working with the National Drug Enforcement Policy Board at the justice Department, Raphael decided to attend law school at the University of Virginia. During and after law school, Raphael took a particular interest in white-collar criminal defense cases and accepted a position as an associate with Skadden, Arps, Slate, Meagher, and Flom in Washington, DC. During her time as an associate with the law firm, she worked on the defense team of former Secretary of Defense Caspar Weinberger in the Iran-Contra investigation, and was also a part of the team representing the Senate Ethics Committee in the Keating 5 investigation. She left this position to become an Assistant Commonwealth’s Attorney in Arlington, Virginia, where she continued prosecuting white-collar felony crime cases. Raphael attributes her networking success to skills she gained in the Washington Semester Program. “Learning to take advantage of the networking opportunities was important.” Raphael said. 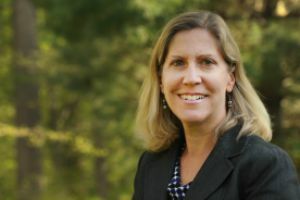 Raphael eventually ran for School Board in Arlington, Virginia, and is currently finishing her eighth year in office. She also serves as the Chair of the Washington Area Boards of Education where she is a member of the Emergency Preparedness Council of the Council of Governments of the National Capital Region. Looking back at her time as a young college student who was new to the city, Raphael remembers feeling nervous at first. “I remember my first bus ride from American University downtown to get to my internship and feeling a bit overwhelmed.” Raphael said. But that all changed as the semester progressed, and her career path became more clear. "Networking during the Washington Semester Program opened the doors for my summer internship following the program, to my first job after graduation, and ultiamtely to law school and a very rewarding career in public service."